Written By : Anton Pavlovich Chekhov (29,January 1860 – 15,July1904) was a Russian playwright and short story writer, who is considered to be among the greatest writers of short fiction in history. 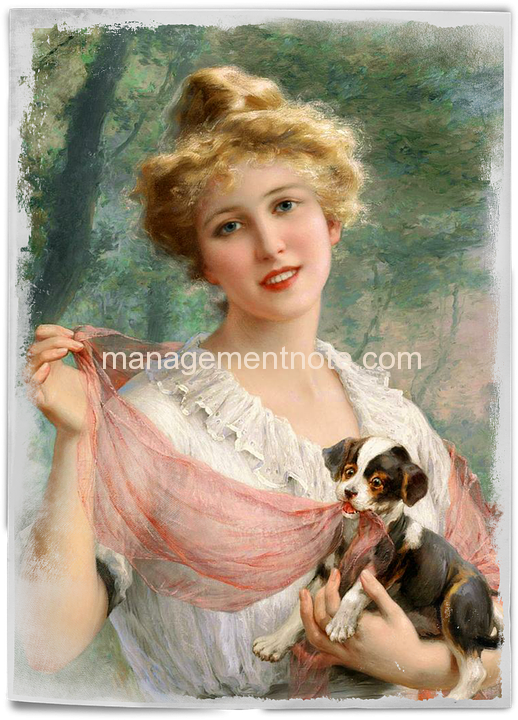 His career as a playwright produced four classics and his best short stories are held in high esteem by writers and critics.”The Lady with the Dog” is a short story by Anton Chekhov first published in 1899. It tells the story of an adulterous affair between a Russian banker and a young lady he meets while vacationing in Yalta. “The Lady with the Dog” is an beautiful story written by Anton Chekhov.Gurov and Anna are the main characters in this story.Gurov saw Anna at Yalta, a seaside town. Both of them had arrived there for their holiday. Anna’s husband was expected to join her there. But when he did not come Gurov went to her hotel and made love with her. Anna was sorry for what she had done. Then Gurov consoled and both of them spent the day together, dining, lunching, and visiting places. When Anna got a later from her husband, she went back home. But she told Gurov that she would never visit him. Gurov also went home in Moscow, but he did could not forget Anna. He met her at the theater and she promised to come to Moscow. After this, she would see him in Moscow once in every two or three months. Although they were growing older, they felt that they loved each other more and more. But they were force to live separately. They were planning to live in the same city and see each other openly. But it would be very difficult. This story might be trying to tell us that true love begins when people become more experienced and when they have cross the barrier of lust (passion). It may also be interpreted to mean that human beings are puppets in the hand of fate.The story might be trying to tell us that Marriage does not guarantee happiness and Love just happens, nobody has control about it.Probably logic does not work much in love.We do not know whom we love and whom we marry. Anyway, this story stands as a remarkable proof of the writer’s belief in the value of human love. This story has beautifully presented the unlawful love of two married persons.There are some of the question which arised in my minds when I read this story. Both of them do not love their spouses. But plan to live in the same city seeing each other openly. Will their plan be successful? Will their spouses accept their love? Should they not be punished for their unlawful love? Gurov is an anti- hero. What does Chekhov wants us to learn from him? What is the guarantee that Anna and Gurov will have a better life? After reading this story I realize how important love is in human life and I understood that When true love happens, nothing can stop us!.It is the only shelter for human beings. Wealth and education do not makes one’s life complete if there is no one to love truly.